KLASSIKER !!! - (LTD. GREEN VINYL EDITION) - Shogun Audio are proud to present Volume 1 in our new 'Shuriken Series' . 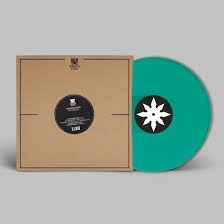 This new vinyl only range will pull together stand out tracks previously unavailable on wax onto highly collectable limited edition 4 track EP's each with it's own bespoke 'Shuriken' design and colour all on heavyweight 180g plates.